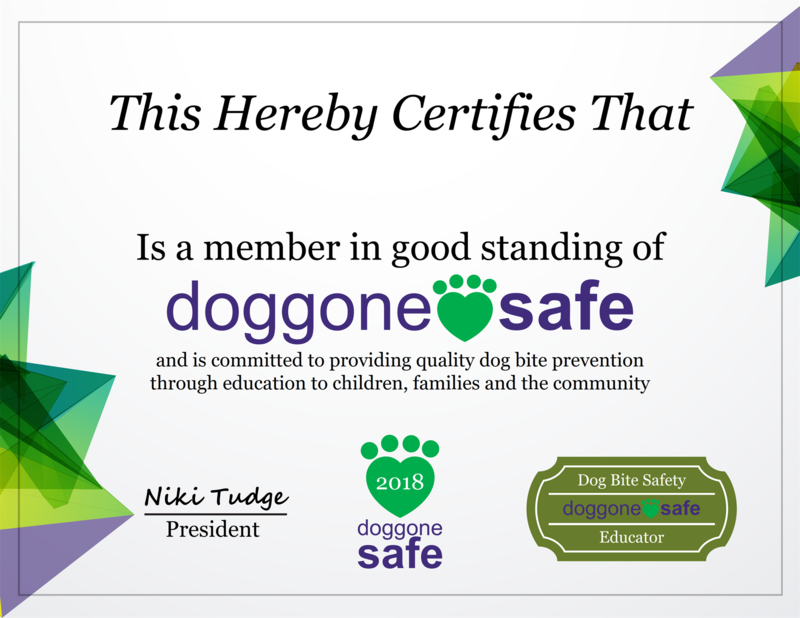 Doggone safe Dog Bite Safety Educators receive a FREE PDF. The code is made available in the qualification email. A fun, interactive, educational resource to help the whole family understand canine communication. Keep future generations safe by learning to "speak dog!" The perfect tool for parents, educators, dog trainers and behavior specialists to use in support of family pet dog training. This book is incredibly useful for parents, teachers, anyone working with children! This book is incredibly useful for parents, teachers, anyone working with children and, importantly, the children themselves. It is interactive, straightforward, beautifully illustrated and explains everything clearly and in plain vocabulary. I will use it to support Be a Tree presentations, in various kids 'n dogs activities, in my work with Burns By Your Side Reading Dogs, and as recommended reading for PDA Therapy Reading Dog Program, where safety around dogs is paramount. I will also recommend it to other volunteers I work with. What a great book for Christmas presents too. I cannot wait to order! What an absolutely wonderful book. The use of this book to educate children and adults alike could be life changing for some. 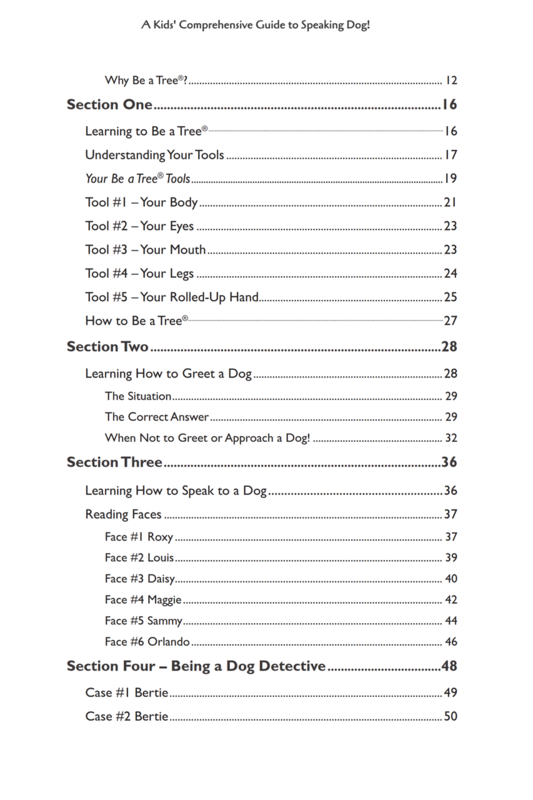 Although written primarily for children, A Kid’s Comprehensive Guide to Speaking Dog also speaks to parents, putting onto the human adult reader the responsibility to teach themselves and then their children the ways of dogs. For too long dogs have been misunderstood, punished for their normal dog behaviours and then surrendered or euthanised because we didn’t understand what they were telling us. With the use of wonderful, easily understood graphics, quality information and incorporating colourful, interactive pages, this book is a standout in educating kids and adults in how best to interact with dogs. The use of this book to educate children and adults alike could be life changing for some. 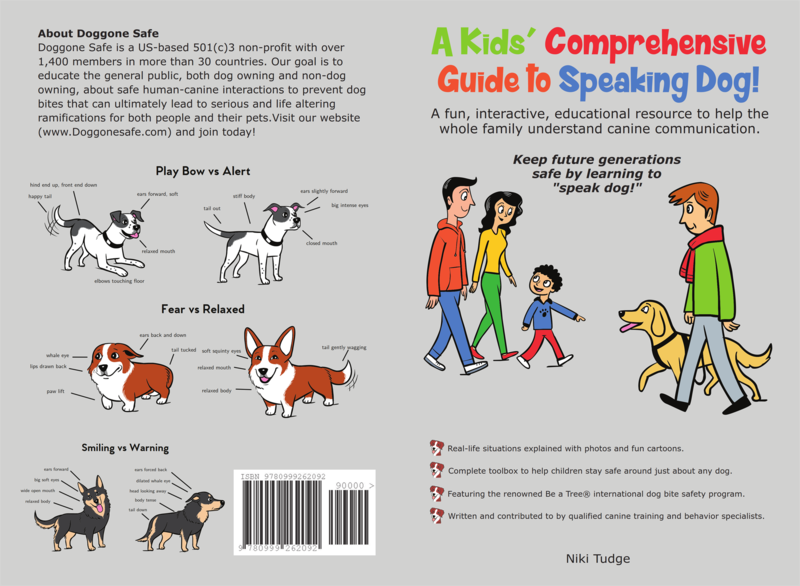 A Must Read - A Kids' Comprehensive Guide to Speaking Dog! 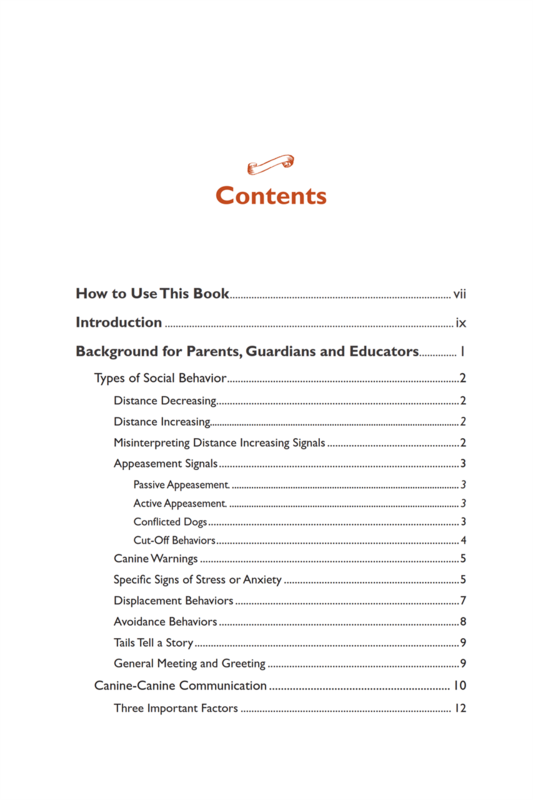 If your family includes children and a dog, if you have children that spend time around friends and family members that have a dog, or if you have a dog that spends any time around children, you, your children, and your dog will benefit from your reading A Kids' Comprehensive Guide to Speaking Dog!. A Kids' Comprehensive Guide to Speaking Dog! is written to be used as an interactive resource and uses cartoons and photographs to illustrate body language dogs use to signal when they are happy, afraid, and angry. 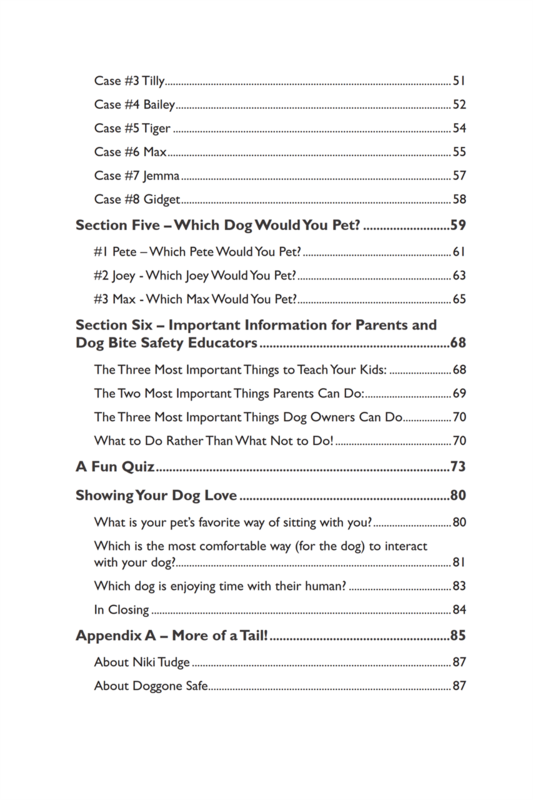 By teaching children, and adults, how to read and respond to these signs the book helps keep people and dogs safe. The world is full of children and dogs, and it is essential that we teach them how to interact safely. A Kids' Comprehensive Guide to Speaking Dog! coupled with a parent or teacher does just that. I give this book five paws!